The Burley Solstice may be priced a little above the average cost of a stroller but you get so much more than just a mere baby stroller. It’s stylish, easy to handle, and allows you and baby to comfortably go for a nice jog. The fold flat system is convenient and easy to use each time. The Burley Solstice coil spring suspension system helps to absorb any rugged bumps along the way, thus keeping your little one happy while they ride. You’ll likely be able to use the jogger until your child is as old as five years old. Although the brake pedal on the Burley Solstice jogger is conveniently placed on the lower back, it can be kind of hard to find in a pinch, tucked to the right. Even with the adapter for the infant car seat, it never feels quite secure enough when locked into place. The Burley Solstice, though it folds down easily, might be heavier to some, at almost 30 pounds. 7 THE BOTTOM LINE | Well Worth It! Here’s why the Burley Solstice is packed full of value for your jogging stroller needs. The safety features of the Burley Solstice jogger may at first sound like a bunch of foreign, jumbled codes to the untrained ear, but when you know what the safety codes imply, you’ll realize how safe the Burley Solstice really is. The jogger adheres to the U.S. Stroller Safety Standards of ASTM F833-13b which basically means that it has been tested in every possible arena and has passed each test and inspection for overall safety. But, to go deeper, the safety testing done for Burley Solstice under this code means that it was tested and examined for small parts, sharp edges, and non-toxic chemicals applied to the different parts of the stroller. 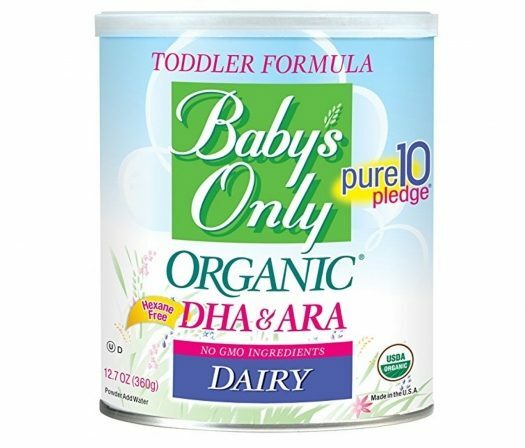 But it also means that the Burley Solstice has been tested to make sure that any latched hinges stay either latched or unlatched, there are no opportunities for the stroller to at any time pinch or similarly injure the child, and that there are no coil springs visible or exposed in any way that could harm the child in the stroller. Under the U.S. Stroller Safety Standards, the Burley Solstice has also been tested to support 2.5 times the manufacturer’s recommended weight limit, and at the same time, the stroller’s brakes and its stability have been tested for accuracy. Besides adhering to the specific safety standards, the Burley Solstice also has its S.I.T. (Spring Integrated Technology) Seat, which prevents the tangling of straps for your child’s safety, and also in order to get him or her out of the stroller with ease. 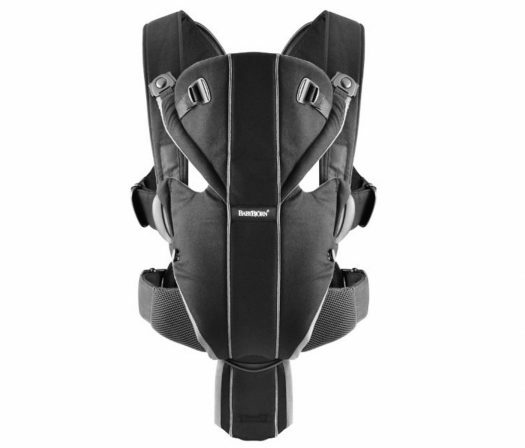 The parts of the straps of the five-point harness system that aren’t buckled together are covered with removable padding that makes it next to impossible for the straps to tangle or twist, resulting in both comfort and safety for your child. And when unbuckles, the straps immediately pull away from each other. The five-point harness lends itself to the overall safety of the Burley Solstice, but so does its Spring Integrated Technology, which keeps the harness from getting tangled. …tested to support 2.5 times the manufacturer’s recommended weight limit. The Burley Solstice has a coil-spring suspension system that, with coiled springs below the seat, helps the stroller to absorb any sudden bumps or jagged paths, instead of causing you to trip over them as you jog or power walk with the Burley Solstice. With a jogger, you expect a certain amount of comfort through a smooth ride for your baby, since it’s a stroller they will likely be in for longer periods of time. And the whole point of a jogger is to allow parents to do away with other strollers when it comes time to get in some real distance and time with air-filled tires that are a lot less likely to swivel and jam up. The padded seat, which can be adjusted with just one hand, can be positioned back far or brought all the way back up, depending not only on your baby’s size but their mood as well. The telescopic handlebar on the Burley Solstice jogger also has adjustments of its own. When adjusting it to different heights, the handlebar actually moves outward, giving you the possibility of an increased stride length. The handlebar can adjust to heights between 37.5 and 40.5 inches (95-103 centimeters). And in the event of rain or all-over sunshine that bothers your baby or toddler, the canopy provides extra coverage when extended by a simple unzipping, but is almost completely out of the way when retracted back in. As with most joggers, the suspension system in the Burley Solstice is what aids in keeping the child comfortable, no matter the terrain you’re jogging or walking on. The Burley Solstice jogger makes things easier as far as utilizing all of the different adjustable features since each adjustment point is colored in bright yellow. Even the knob on the front tire, which locks into place to remain straight, or can be switched to swivel, is yellow and places right on top so you can’t miss it. With the push of a silver tab right behind the seat, near the red coils, the rear wheels can be removed for easier storage, but even with all of the wheels still attached, the Burley Solstice can be folded up and stored with ease. The height depends on the handlebar adjustment and ranges from 37.5-40.5 inches high. The rear tires are 16″ diameters, and the basket underneath is 3356 square inches. …each adjustment point is colored in bright yellow. The Burley Solstice has a simple, fold flat system made to fold up the jogger easily and with one hand. All you need to do is slide the yellow bar on the handlebar and then press the larger yellow button on the other side of the handlebar and nudge the stroller forward. This will make it collapse and fold up and is all done with the use of just one hand, making it possible to hold your baby in your other arm at the same time. The seat back of the Burley Solstice can also be adjusted with just one hand. With a simple pull of the cord behind the seat, it will recline all the way. And when it comes time to store the stroller in your home or garage, when folded up, it requires a simple tilt to stand up on its own and out of the way. The most usefulness of the Burley Solstice jogger comes in the form of easy to find and easy to maneuver latches, but it certainly doesn’t hurt that the entire seat padding, including the straps, are easy to remove and machine washable. One of the most convenient aspects of the Burley Solstice jogger is easily the ability to fold it down with one hand and store it in an almost flat position. But besides that, locating all of the adjustment points in bright yellow colors makes it that much easier to personalize the safety and comfort for your baby. …collapse and fold up and is all done with the use of just one hand. On the manufacturer’s website, the suggested retail price (MSRP) is $399.00, which is a little higher than the average jogging stroller but is well worth the investment. As with most joggers, the Burley Solstice is designed to be used for years and in this case, up to 75 pounds and 44 inches tall. Since, according to KidsHealth.org, the average four-year-old is roughly 40 pounds and stands at around 40 inches tall, that means the Burley Solstice can last your family a long time. While it is not recommended that an infant be placed directly in the seat, there is an infant car seat adapter attachment that can be purchased seperatelyThat means you can indeed utilize all that the Burley Solstice has to offer right from the start. 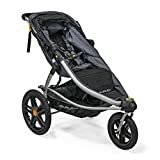 Each family is different in their budget for a good stroller for their baby, but when it comes to a safe and reliable jogger, the value is going to be in everything it has to offer and the Burley Solstice jogger offers a lot and for a long time, and there is plenty of value in that. Since the Burley Solstice jogger is made to fit your baby up to 44 inches tall and 70 pounds, you’ll get to use it for literal years and even when not using it for jogging. THE BOTTOM LINE | Well Worth It! Being able to use a jogger from infancy until your child ages out of the stroller completely make this model pay for itself, in a way. Since the Burley Solstice can be used for years, you’ll likely never need another one. And that is where the value lies. Whether you have a new baby or a small toddler at home, it’s hard to get out and stay active, especially wth those large, clunky strollers. Invest in a quality jogger and get outside each and everyday!